Aluminum has been reshaping various industry ever since it was first time introduced as a commercially viable metal. This revolution continues even today as aluminum extrusions are playing an active role in shaping the renewable energy sector, such as constructing and designing solar panels. We are amazed that even after so many decades, this material still remains a metal of the future. Since we work with aluminum almost every day, we are rarely surprised by the applications that our customers come up with. However, we are truly impressed by how much this metal has proven to be revolutionary when it comes to the power and energy sector. This metal is providing enhanced stability for solar panels in this industry for greater efficiency. As you must already know that even minor errors in positioning of the solar panels can lead to reducing their power output potential and by using aluminum, we ensure exceptional accuracy of the panels. This is one of the reasons why aluminum extrusions have become an indispensable part of this industry and are being used by us to design a comprehensive framework for aluminum solar panel mounting system in different situations like, supports, frames and connectors. Some of the reasons why aluminum is our choice of material when it comes to constructing solar panels are given below. Lightweight: Supports and frames created using aluminum extrusions are lighter than most other metals. This makes it easier for us to transport, as well as, assemble the solar panels in remote locations, which is quite common for solar power stations. Thanks to aluminum’s lightweight characteristic, it makes it useful for solar installations on the rooftop of buildings that have very limited capacities for offering support to the additional weight of the panels, as well as, their substructure. Strong conductor of electricity: Even though copper is generally associated with electrical wiring owing to its conductivity, extruded aluminum is actually a much stronger conductor of electricity. It has only 30% the density and 59% the conductivity. This is what makes aluminum a fantastic choice when it comes to electrical applications. In fact, aluminum wiring was first used in the early 1900s and after the end of World War II, its prevalence spread rapidly and so much that this metal ended up replacing copper to became the conductor of choice in power cables. Corrosion-resistant: When compared to steel and other metal, aluminum has intrinsic maintenance and production advantages. Other metals would have to be galvanized so that they can be protected against corrosion before used outdoors. On the other hand, aluminum extrusions are inherently resistant to corrosion and so, it is well-suited to years of maintenance-free service in the energy sector. This characteristic of aluminum helps our solar panel architecture to have weather-resistant advantages. Strength and stability: Aluminum solar frame offers a strength that can be compared to heavier steel options. 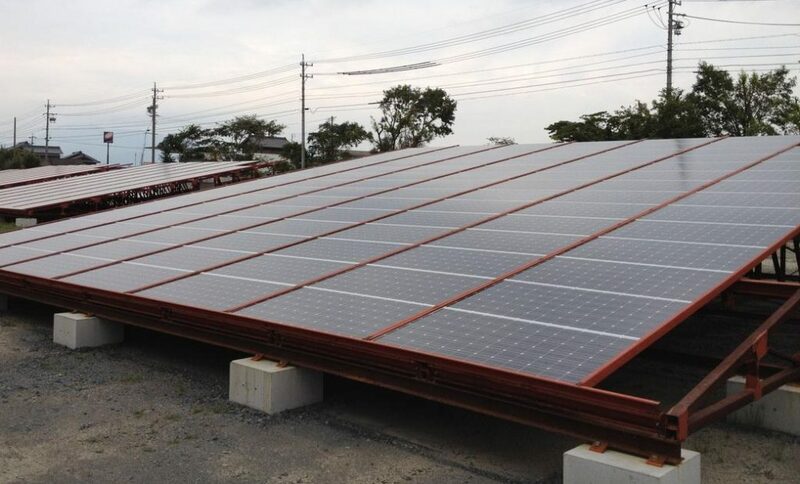 So, this helps the solar panels in maintaining the stability that is needed to resist shifting, which can be caused due to strong winds or such other stresses. Flexibility in design: The malleability of extruded aluminum permits massive flexibility in the design of frames and supports for solar panels. Aluminum extrusion tubing can be connected at exact and atypical angles while needed fewer connections and parts. This helps to provide the essential accuracy in our solar panel’s alignment for maximum energy yield. All of these together make aluminum extrusions an important part of the energy and power industries. Even though there are other metals being used to construct solar panels, those materials are expensive. When we are building new solar panels, we may require twice the amount of aluminum than any other metal, but the cost of the raw material is going to be less. This helps the energy sector by reducing a lot of operational costs. We have no doubt that aluminum extrusions will be shaping the new applications that are being developed in green and renewable energy. Aluminum alloys like, 6063 aluminum is proving to be an important material in the solar field just as they have been essential to so many different industries for the past few decades. Owing to its high-performance, affordability and flexibility, aluminum makes a lot more financial sense than other materials. You simply cannot match this metal to any other material. We strive to find the perfect material for the job. You can contact us without any hesitation to gather more information about what aluminum extrusions are capable of and which alloy is the right choice for you. In case you are a part of the solar industry or working in any department of green energy, we are here to fulfill your specific needs and help you flourish.